If you have been a victim of fraud and wish to seek a legal remedy, then at some point you will probably be required to testify and provide factual evidence to support your claims whether in a civil trial or a criminal trial. However in addition to legal channels, today's technology empowers every consumer with a voice that can be heard more widely and powerfully than ever before when you learn how to use your voice ethically and responsibly. Check out the video below to see how this musician used his voice when faced with an issue that a business refused to resolve. While his case was not fraud, his responsive action was creative and more effective than a legal remedy ever could have been. And no, you do not need to be a singer to have your voice heard about an unfair or illegal situation. Today's technology provides many ways for you to “testify” or report about your experience prior to, and/or in addition to, legal action. By using these alternate reporting channels you can alert others about your experience and you may find that using them provides you with a potentially effective remedy that is more economical, less time consuming and potentially more personally rewarding than seeking a legal remedy. Should you choose to use any of the public reporting~reviewing~social platforms that are available to you, stick to facts and avoid potentially libelous (written) or slanderous (spoken) statements that will only detract from the credibility of your allegations, reviews, etc. and which could subject you to legal action. RULE 1: NEVER, EVER, EVER submit reviews or file reports when you are in a heightened emotional state or you will probably be flagged as a ranter and a site moderator could ban you and delete your reviews. Calm down, draft your statements carefully and factually and submit them ethically and professionally. 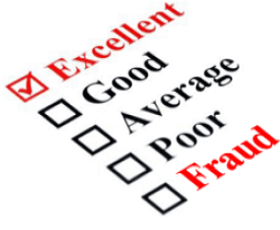 There are many private organizations and government agencies dedicated to educating consumers about how to avoid becoming victims of fraud and also teaching consumers how to seek a remedy after being a victim of fraud. While some of the information provided on Martial Art Fraud is applicable to many types of fraud, (especially resources for reporting fraud) this site is narrowly focused on helping consumers identify and address consumer fraud as may be perpetrated by a martial art school engaged in trademark infringement and/or trademark counterfeiting and seeks not to diverge into discussion of other types of fraudulent activity. National agencies and organizations are seldom responsive to individual reports, (you will see this mentioned on their sites) as they may primarily gather broad based information to detect major trends. Some fraud organization sites that gather reports may or may not act upon them and may or may not advise you about what they have done. HOWEVER, there are some localized reporting resources through which you are MUCH more likely to experience responsiveness to your individual report or review and we provide you with direct links to a number of such resources and encourage you to file reports and or reviews with them when warranted. The manner in which you received fraudulent information may also help you determine the most appropriate authority to submit your report(s). For example, fraudulent materials delivered by mail can be reported to the postal service in addition to all other entities that you might report the event to. These reporting links may direct you away from Martial Arts Fraud and we have no relationship with the sites you visit or the information or services they provide unless otherwise noted.